The second music video in Troye Sivan’s ‘Blue Neighbourhood’ video series is that for ‘Fools’, a song lifted from his recently released No.1 mini-album ‘Wild’. And if the screenshot (below) is any indication, it seemingly picks up where the touching last video (for ‘Wild) left off. In that, we were left with a closing scene in which Troye and his male friend sealed their bond with a kiss. But, like a modern day tale of Romeo and Juliet, it would appear their relationship is doomed before it even began, all due to a homophobic father. There’s even a little teaser of part three right at the very end. 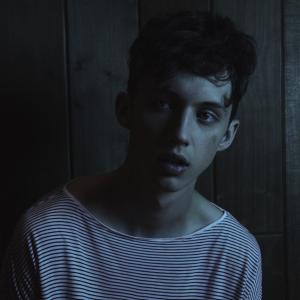 Very clever, Mister Sivan, very clever.